Yeah, but: Unless your name ends in “Sherpa” you don’t want to use it as a backpack. 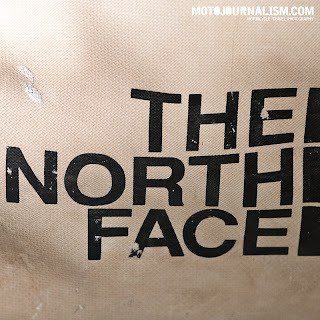 Nearly all product descriptions and reviews of The North Face Base Camp duffel begin by trying to sell you on the bag’s ability to be strapped to a yak. Admittedly, I’m lacking in the yak department, but I have found that the Base Camp Duffel is a good companion for my own beast of burden. 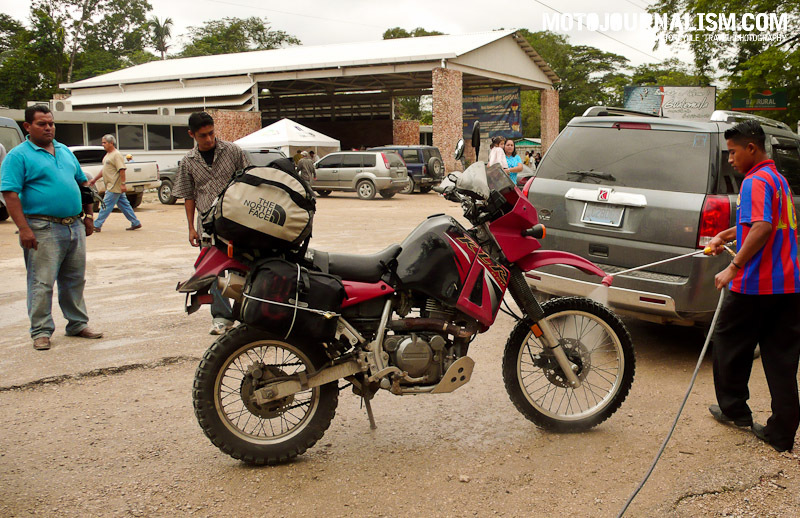 For over 60,000km - from Newfoundland to Panama - the large, grey cargo carrier has been strapped to the back of a motorcycle, and it’s still going strong. Large handles on either end offer a burly grab point for hefting it onto the bike, across rocks, or off of an airport baggage conveyor. There are also standard gym-bag duffel handles, though these seem useful only if you’re carrying a light load. 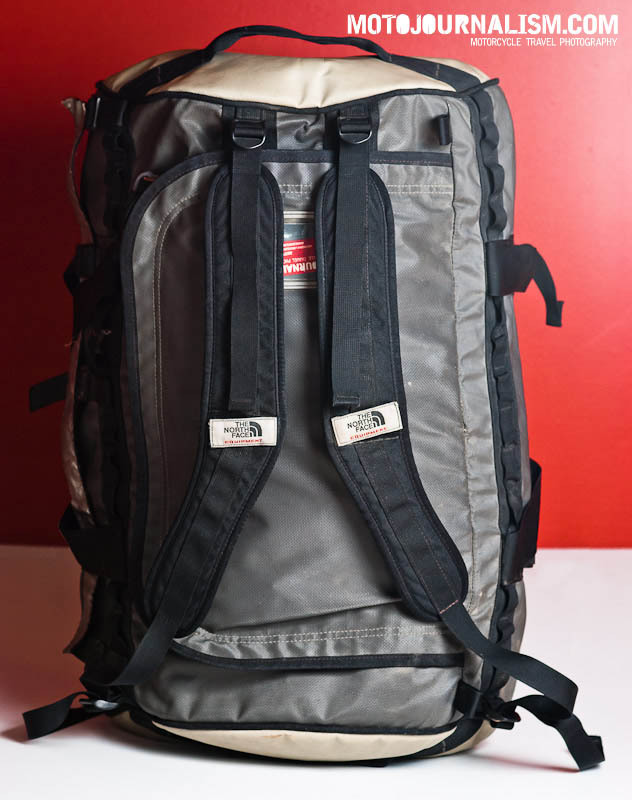 The removable “Alpine cut” backpack straps are lightly padded and have a comfortable curve. Being able to carry the duffel on my back allows me to keep both hands free for carrying the rest of my luggage and helmet. It's an appreciated feature on a bag this big. The backpack straps let me walk away from the motorcycle - everything in one load - to wherever I’m staying for the night. This can be a big deal in if you’re staying in a sketchy area. That said, this is *not* intended to be a backpack - there is no hip belt or load bearing frame. With it’s barrel-like geometry and the amount of cargo a bag this size encourages you to carry, there is just too much weight on your shoulders to carry any long distance. The big D-shaped lid opens like a trunk for easy access to your gear. The daisychains that run both lengths of the bag provide secure tie-downs that don’t interfere the opening of the lid. This makes for ideal motorcycle luggage. *Note - The large white strip is reflective material I have added. Other than the zippered pocket under the lid, there are no internal dividers. 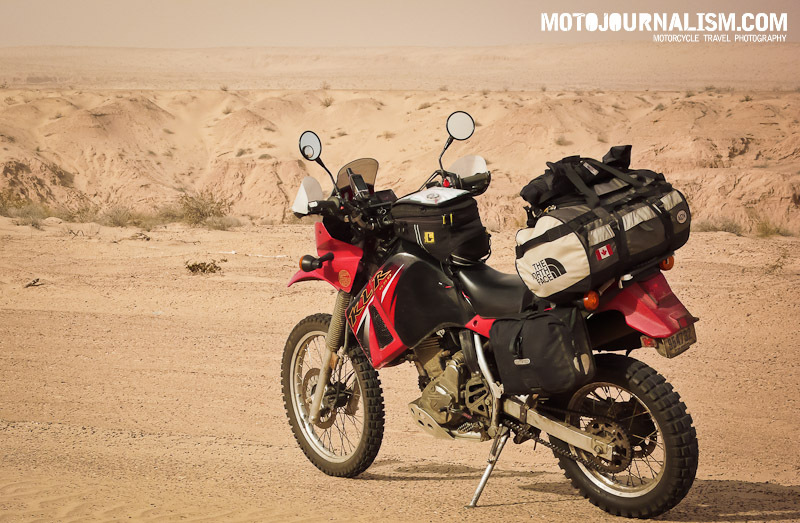 The "base camp" concept is that it’s a single piece of luggage used to carry other bags and gear to your destination. I manage to carry: a tent and poles, sleeping bag, thermarest, motorcycle tools, tire irons, food, clothes/rain gear, tripod, netbook, AC adapters/chargers, first aid kit. The length of the duffel fits the Manfrotto 190XB tripod, though I’ve found that the ball-head needs to be removed to get the legs in and out of the lid easily. 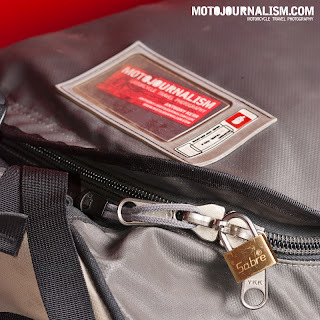 Four side compression straps help to tame less-than-full loads - the bag must be fairly full to maintain it’s shape and stay on the motorcycle securely. Of course, loose loads are no problem for carrying on buses, cars and airplanes. Or a yak. 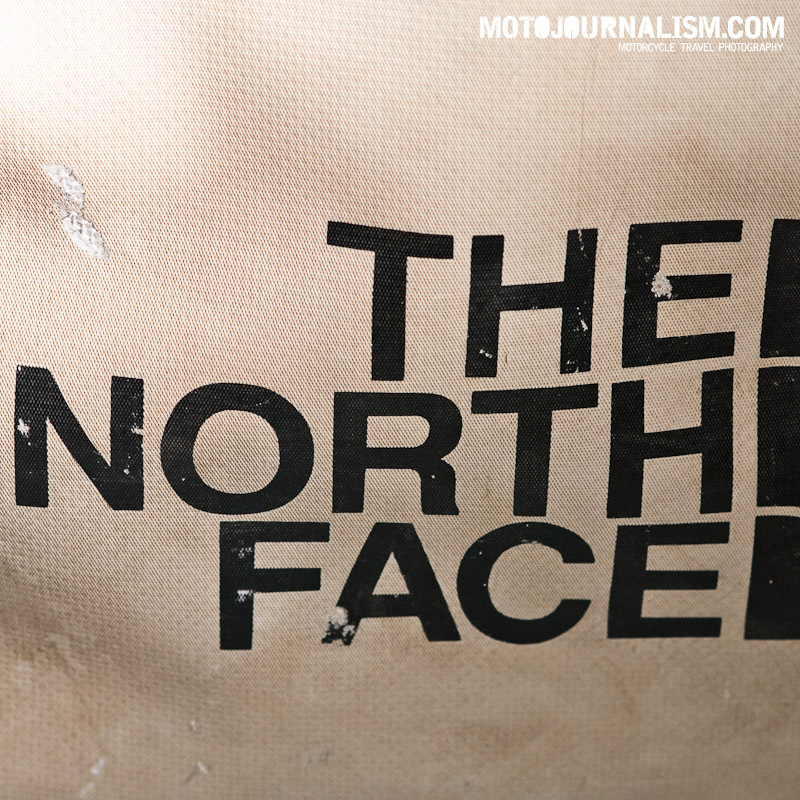 The bag is made of a very thick laminate material, similar to the tarpaulin you’ll see on highway-going truck trailers. Solid stitching, bar-tacks and a hefty lockable zipper cause airport baggage handlers to gnash their teeth on sight of the burly bag. Though the heavy material is obviously waterproof, the thousands of stitching holes will let water drip in over time. I'm talking heavy rain for several hours here, a quick downpour won't be a problem. Water resistant, yes. Water proof, no. In practice, this hasn’t been much of an issue. Anything that can’t be wet gets put in a drybag before it goes inside the duffel. 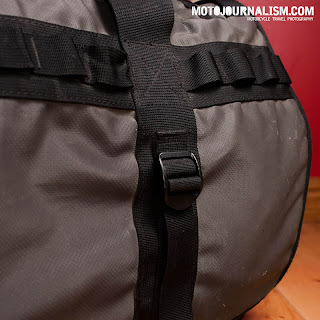 There are 100% waterproof duffel bags out there, but dry bags have few tie-down points. 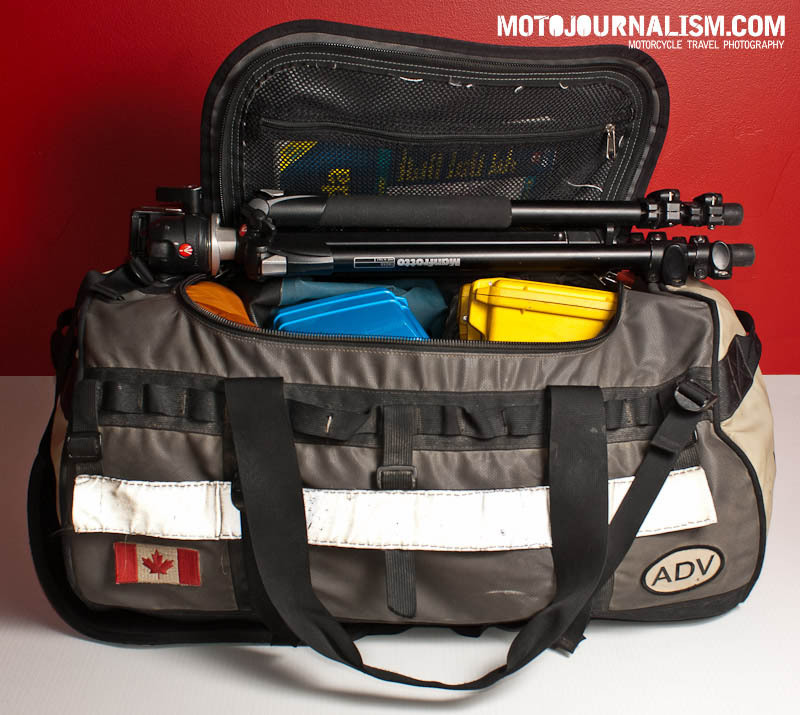 Getting to your gear means you have to unlash/re-lash the bag every time. That’s a big deal considering how often you need to get to your food, or warm clothing. The Base Camp duffel is just more “livable” for day to day use on a long trip. 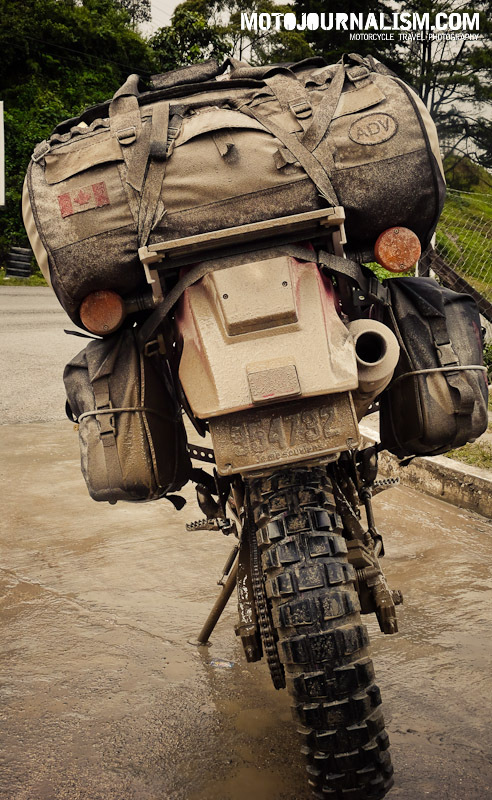 The Base Camp Duffel has been through torrential rain in Newfoundland, sandstorms in the Sonoran desert and muddy mountains in Guatemala. The worst I can report is two bar-tacks on the daisychain popping out after many months of strain on the road. 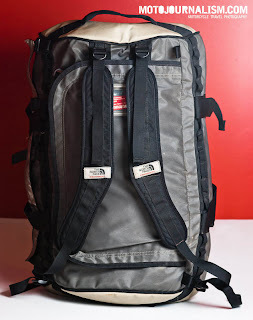 I’ve been told by a North Face rep’ that I can send it in for free repair under warranty. I’ll be using this bag for years to come, it just works. I’ve given the Base Camp Duffle a 2 out of 5 for concept, it’s just a duffel bag after all. But it deserves a 4 out of 5 on execution for it's build quality and for having just enough well thought out features to be useful. There’s no fluff on this duff'. Yeah, but: It's nice and small, and that may be enough. 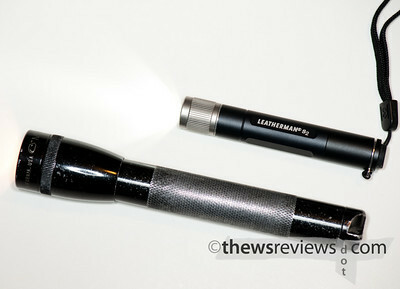 The Long Version: Leathermans achieved a rare accomplishment with the S2: they market both a flashlight and multitool under the same name. That's an own-goal that even the camera companies rarely accomplish – very impressive. 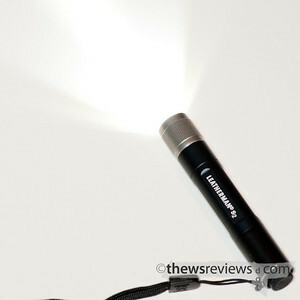 This review is of the flashlight, which takes a single AAA battery with an aluminum case and two power settings. I use this light as a little torch that I can carry everywhere in my Billingham Hadley camera bag; I need something dressy but small. It travels with me, lets me find my way in strange hotel rooms, and shows if I drop something in the footwell of a car, bus, or plane. Handy stuff, but this is a light utility light, not something I'd be using to explore a dark alleyway or abandoned building. The S2 has two power settings, one of which is too dim to read by, and the other is too bright to use for very long. They're selected by lightly pressing the tailcap switch; each press toggles the mode, which means that it alternates between bright and dim each time the light is turned on. To hit this point again: whichever brightness setting was useful last time is not what it will turn on with the next time. Handy, no? The redeeming feature of the S2 is that it has a built-in regulator. This means that the brightness remains constant for most of the battery's useful life, while other lights will peak early and then taper off. It's a nice feature, and suits a light with this sort of a price tag. So the S2 is small with businesslike styling, has two brightness settings, and has a consistent output. It's a nice mix of features, and does what I want it to. It's just that the brightness toggle bugs me. It's not a critical flaw, but it is enough that I wouldn't rush out to buy another one if my current S2 flashlight were to get lost. It does the job, but it's not that hard a job to do. Yeah, but: Not the NC or the VC, just 400. The Long Version: One of the more interesting souvenirs that I brought home from New York City was an exposed roll of the brand-new Portra 400 from Kodak. This film replaces the previous 400VC and 400NC formulations, and from the press release, it sounds like it's combined the best of both with no downsides. Sounds nifty, verging on too good to be true, but so far it looks like they really have pulled it off. I have to concede that I'm not the best person to judge the new film, especially since the good people at Kodak only gave me one roll to try. Feel free to open these sample images (above and below) in a new window and replace the final "S" in the file name with "L" to see a larger image. On the other hand, what you'll be seeing is an electronically scanned version that's been reinterpreted by a different monitor in a limited colour space. I've made some effort to get the colours to look like the prints, but those are scanned second-generation copies as well. Unlike with transparencies, there's really no definitive colour reference. For a subjective comparison, I've been showing the prints from my evaluation roll around, and have gotten positive reactions from friends, fellow photographers, and the photo lab. 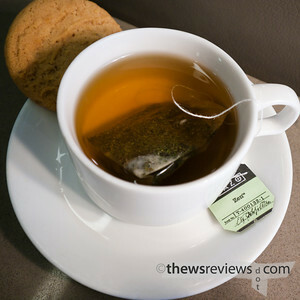 The colour is quite good - vibrant without being garish, and holds up quite well for portraits. Scanning it with my Nikon V driven by Vuescan is as easy as any colour film that I've tried, giving good to excellent results with very little effort. Grain is a non-issue, both because it's invisible in smaller prints, and because it's not a fault with film in the same way that noise is with digital capture. While I don't anticipate Portra 400 replacing the quirky but powerful Ektar in my small-format cameras, I would choose it for any subject where the faster speed would be appropriate, or even for the times when I just want a no-fuss film for unpredictable conditions. I'll always have a couple of rolls on-hand as a solid second choice. Low-light photography will fall to Fuji's Press 1600, or perhaps I'll just bring my D700 out of its semi-retirement from time to time. 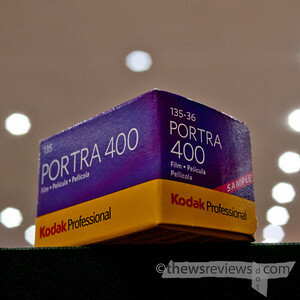 Updated 11 jan 2011: I've now had a chance to use the 120 film in my medium format camera, and it has become my standard colour film. 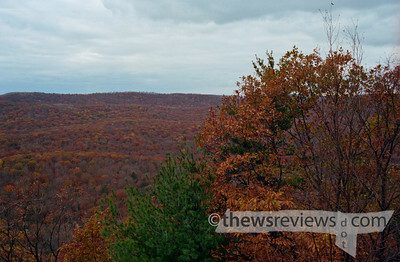 Its results are as good as I hoped, with excellent tone and is very forgiving when confronted with over-exposure. 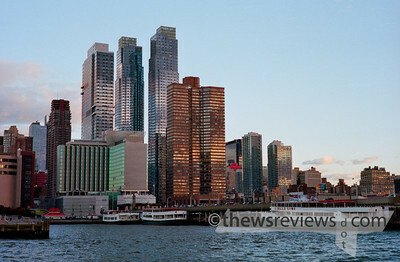 I've put some large sample images and additional text over on my photo blog. 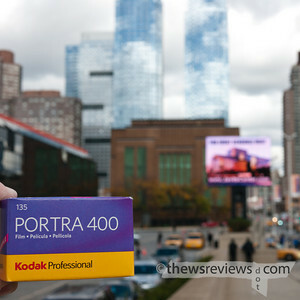 The new Portra 400 looks like Kodak really has improved on the previous Neutral Color and Vibrant Color formulations, and it's certainly better to see a new film than to simply discontinue an unpopular one. 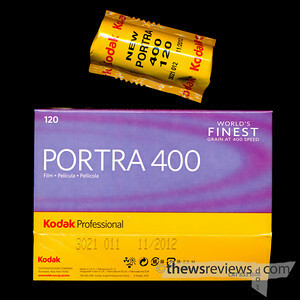 The quality that I've seen so far is very promising, and Kodak should be applauded for continuing their efforts to succeed in the marketplace. Yeah, but: How often do you rave about an airport? The Long Version: I don't mind flying, but I dislike airports, and Toronto's Pearson International deserves a special mention as an abysmal place to spend time. It's crowded, poorly run, and inconveniently located in Mississauga. It's so bad that it's even worse than other airports, and that's really saying something. But it's a little-known fact that Toronto has an airport located right downtown - its existence has certainly come as a shock to all of the people who have bought condos on the waterfront. 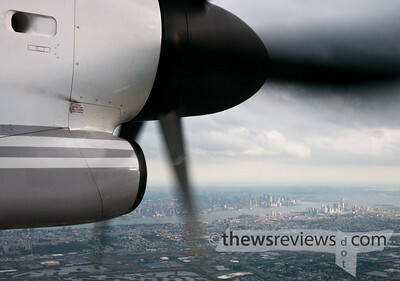 There's just one single airline operating from it right now, but when it came time to book a flight to New York City, flying Porter out of Toronto's Island Airport was a natural choice. 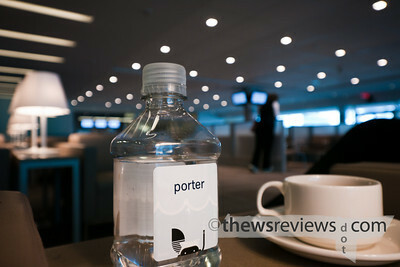 Porter is a small airline that mostly targets short-hop business travel, flying 70-seat Bombardier Dash 8 turboprops. This is a different experience from a big jet, and it all comes down to working on a smaller scale. These little planes make money even when they're half empty, so instead of crushing through security and customs with hundreds of vacationers, imagine travelling with a small group of business-people that could easily fit in a nice motorcoach. The only downside that I found was that the ride was a little bumpier than on a jumbo-jet flying ten thousand feet higher; the cabin noise was a higher pitch, but not as loud as the normal jet roar. The flight from Toronto to New York is long enough to take off, eat the world's smallest box lunch, and land. Even if that was the entire experience, there's no question I'd be flying with them again. But it gets even better than that. Because of political opposition to the long-running existence of the island airport, the experience starts with a 400-foot ferry ride across the Western Gap. The single ferryboat runs every fifteen minutes, and Porter has a check-in counter in the mainland terminal that can occupy some of the waiting time. Once on the island, there's an enclosed walkway to the main terminal building, and getting to the gates involves the minimum amount of hassle that's allowed by law. Instead of arriving three hours early for US-bound flights leaving from Pearson Airport, Porter recommends reaching them just one hour before the flight takes off. Travellers clear US Customs and Immigration once they arrive, but the time I saved by not having to drag out to the suburbs and then stand in line until it's my turn to be rushed to the front of the queue so that I can just barely catch my flight is immense. Even if that was the only benefit of going through the island airport, I'd do everything I can to never see the inside of Pearson International again. But it gets even better than that. 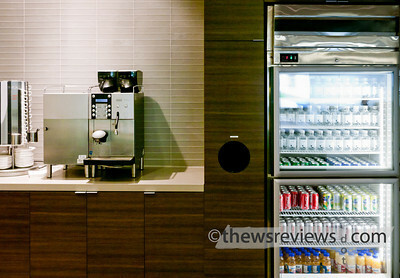 Just past the final escalator into the waiting area there's a decent-sized kitchen area with a drink fridge, snacks, and stations for making coffee or tea. I looked around for someone to pay, expecting a trap, but it's all complimentary. I can't think of the last time I was surprised by not having to pay for something relating to air travel. I may still have a packet of almonds to show for it, as well. 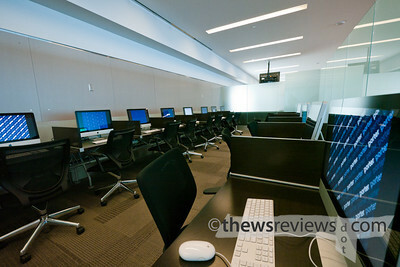 Off to one side of the terminal's lounge is a business centre with better than a dozen iMac computers. A waiting area that looks like the lobby of a nice hotel, free computer time, free internet access, free cans of coke - in an airport terminal. Commercial air travel is one of those things that as been getting worse every year, and that's been the case for a very long time. It's nice to have an airline that has reset the clock and brought in a high-end service that doesn't cost any more than a comparable flight from one of the lousy airlines flying from an expensive and nasty terminal. From now on, if I have a choice, I'll be taking Porter from the Toronto Island Airport, even if I have to change my itinerary to do it. There's simply no comparison.